Situ­ated in the heart of Cent­ral Asia, the Repub­lic of Tajikistan is bordered by Uzbek­istan from the west, Kyrgyz­stan from the north, China from the east, and Afgh­anistan from the west, which provides a polit­ic­ally sig­ni­fic­ant loc­a­tion to the coun­try. Its com­plex land­scape is paired with a sharply con­tin­ent­al cli­mate, includ­ing areas with desert and sub­trop­ic­al cli­mate. Ninety-five per cent of the sur­face is covered with moun­tains, the two most sig­ni­fic­ant being the Pamir and the Alay Moun­tains, which are the sources gla­ci­er fed rivers, upon which the country’s hydro­power eco­nomy is built. Tajikistan is rich in oth­er nat­ur­al resources as well, such as urani­um, which allows for an influ­en­tial polit­ic­al stand­point, a vari­ety of pre­cious metals, namely gold and sil­ver. Its envir­on­ment­al fea­tures con­sid­er­ably influ­ence the chal­lenges Tajikistan faces, par­tic­u­larly fre­quent flood­ing and land­slides com­ing from the melt­ing gla­ciers due to cli­mate change. 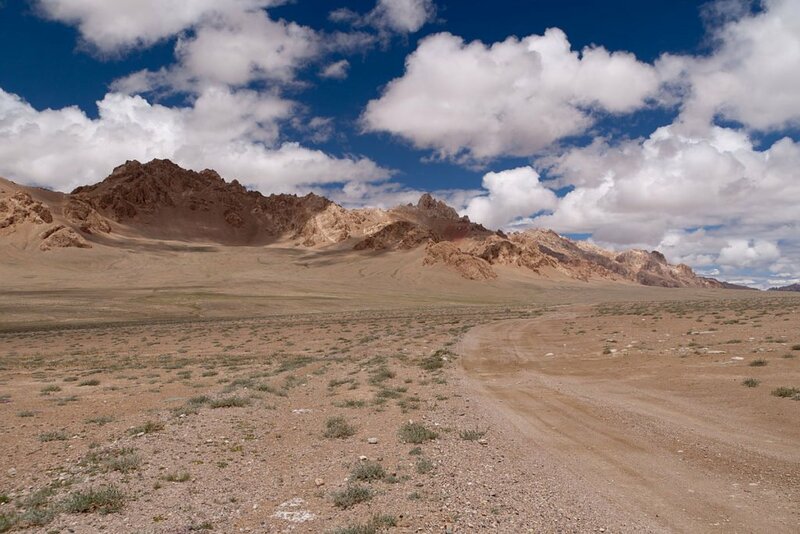 The Pamir Moun­tains, viewed from the Pamir High­way, Tajikistan. Tajikistan has always been at the cross­road of mag­ni­fi­cent cul­tures. 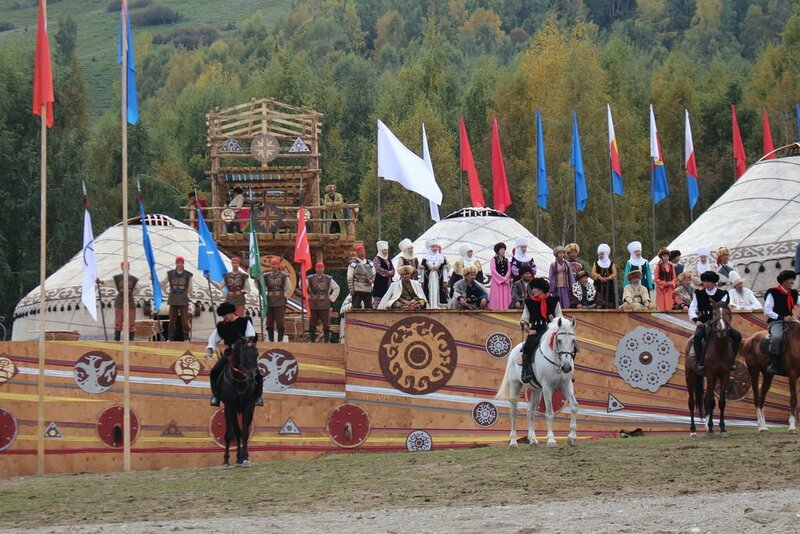 The Tajiks emerged as a dis­tinct eth­nic group in the eight cen­tury. At the same time, Arab invaders conquered Cent­ral Asia, intro­du­cing Islam to the region, which still has a prom­in­ent influ­ence today. East­ern, espe­cially Chinese cul­tur­al effects influ­enced the region through the trade on the Silk Road, which had three main routes cross­ing the cur­rent ter­rit­ory of Tajikistan. Dur­ing the course of cen­tur­ies a wide vari­ety of cul­tur­al forces influ­enced the area as a res­ult of its annex­a­tion to the Per­sian, the Mon­gol, and the Timur­id Empire, before fall­ing under Rus­si­an rule in the 1860s, and becom­ing part of the Soviet Uni­on in 1921. After more than a hun­dred years of Rus­si­an dom­in­a­tion, pro-demo­crat­ic protests emerged in Dush­anbe, and with the fall of the USSR, Tajikistan declared inde­pend­ence on the 9 Septem­ber in 1991. As a res­ult of the protests, the first dir­ect pres­id­en­tial elec­tions were held. How­ever, a year later, anti-gov­ern­ment protests swept through the streets of Dush­anbe escal­at­ing into a civil war which took 20,000 lives, and demol­ished the indus­tri­al and agri­cul­tur­al sec­tors of the eco­nomy. Sub­sequently, Emomali Rah­mon became the new head of state, and is still serving as pres­id­ent to the present day. The gov­ern­ment act­ively pro­motes defin­ing and defend­ing the tra­di­tion­al Tajik cul­ture. Rus­si­an-style sur­names are out­lawed, and even though 85% of the pop­u­la­tion is Sunni and 5% is Shia Muslim, Arab­ic-style beards and hijabs are banned, as they don’t reflect reli­gi­os­ity, and people should ‘love God with their hearts’. 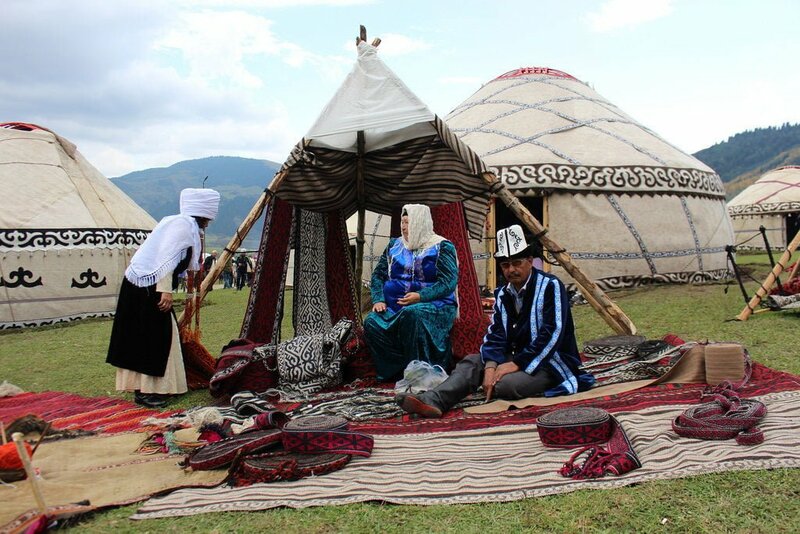 Women are encour­aged to dress in tra­di­tion­al, bright col­oured cot­ton dresses and long skirts, while men wear caps lined with black lamb skin. 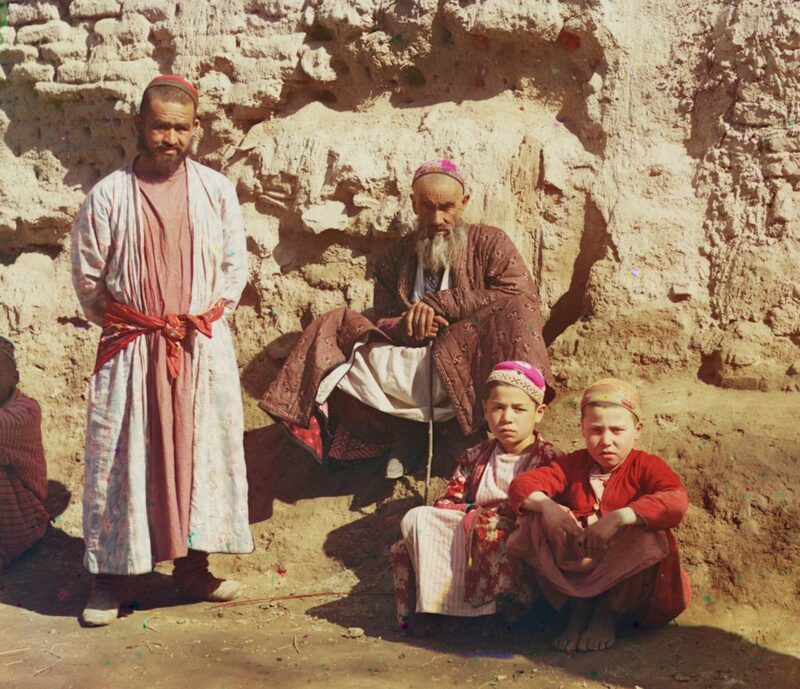 An early col­our pho­to­graph by Sergey Prok­ud­in-Gor­sky shows Tajik boys and men, prob­ably around 1910. 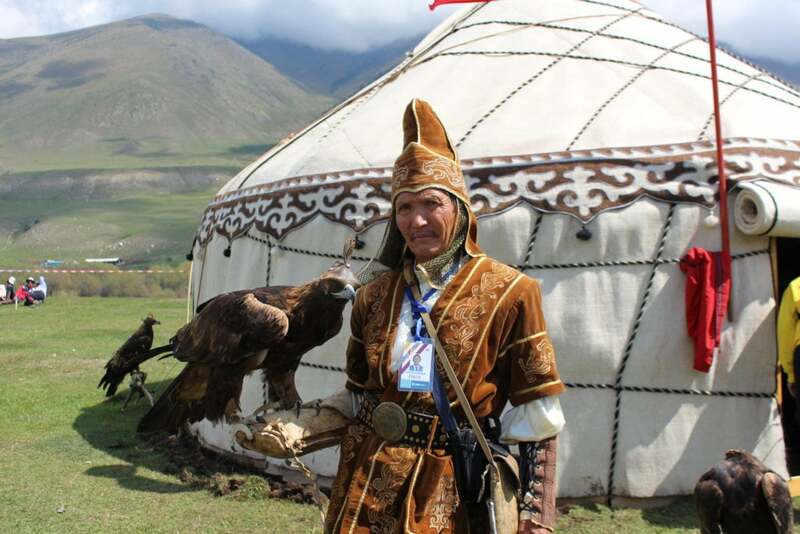 The Tajik cul­ture, with its legendary hos­pit­al­ity, is very fam­ily cent­ric. Wed­dings were his­tor­ic­ally cel­eb­rated over the course of sev­en days, how­ever this is now restric­ted by the gov­ern­ment as a res­ult of the huge expenses such fest­iv­it­ies incur. Today, the most widely cel­eb­rated fest­ivals are reli­gious ones, such as the Muslim New Year, or Qurb­an Eid, for which entire vil­lages get togeth­er and pre­pare tra­di­tion­al dishes, such as the ‘kabuli pulao’, which is a rice based dish with shred­ded yel­low turnip or car­rot, meat, and olive oil. The Tajik cul­ture has dif­fer­ent music for dif­fer­ent occa­sions, but tra­di­tion­ally, there is a solo instru­ment, such as the ‘daf’, for per­cus­sions, that can be traced back to the four­teenth cen­tury, accom­pan­ied by singing. The clas­sic­al nation­al dance, which is emo­tions driv­en and ener­get­ic, is also an essen­tial fea­ture of cel­eb­ra­tions. 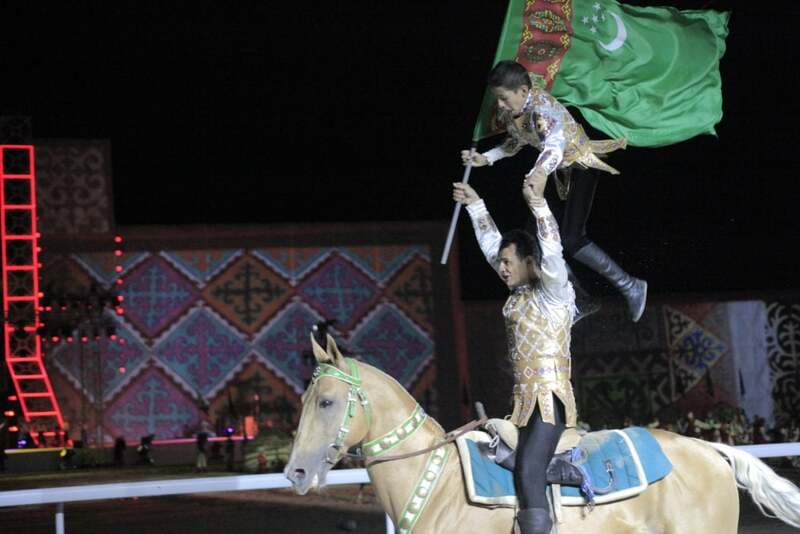 The Tajik lit­er­at­ure is a prom­in­ent com­pon­ent of the cul­ture too. Whilst dur­ing Rus­si­an rule, lit­er­at­ure had to com­ply with the offi­cial views; pro­du­cing pieces about the civil war, indus­tri­al­isa­tion and col­lect­iv­isa­tion; the most well-known epic poetry ori­gin­ates back to long before the USSR, to the tenth cen­tury. Shahname, trans­lated as the Book of Kings. It is the world’s longest poem cre­ated by a single poet, Fir­dowsī. His piece has been the inspir­a­tion for many Tajik movies made in the country’s own film stu­dio, which was estab­lished, along with numer­ous theatres and museums, by the art-favour­ing Soviet Uni­on. Tajik people are fond of sports as well, the most pop­u­lar being foot­ball, with the nation­al team com­pet­ing in FIFA. Giv­en the geo­graph­ic­al con­di­tions, hik­ing, climb­ing and ski­ing are favoured as well. The state of Tajikistan is a pres­id­en­tial repub­lic with a dom­in­ant party sys­tem. The head of state is Emomali Rah­mon sice 1992, who has recently declared him­self a Lead­er of the Nation. Ori­gin­ally, pres­id­ents are elec­ted for a max­im­um of two terms, each which lasts sev­en years, how­ever, Rah­mon has held a ref­er­en­dum which allowed him to serve four con­sec­ut­ive terms. Elec­tions are inter­na­tion­ally cri­ti­cised as neither fair, nor free, espe­cially since ban­ning the main oppos­i­tion party. The pres­id­ent cap­tures every oppor­tun­ity to con­sol­id­ate his power, which is also expressed by build­ing a tea house worth 1% of GDP, a new city in the desert, and set­ting up the tallest flag pole. Moreover, inde­pend­ent press is restric­ted, along with web con­tent. Due to the unstable domest­ic polit­ics, edu­ca­tion and pub­lic health­care are not suf­fi­ciently sup­por­ted. Access to edu­ca­tion is lim­ited by indi­vidu­al resources, and health­care is only present in the urb­an areas, push­ing most people into prim­it­ive liv­ing con­di­tions. With regards to inter­na­tion­al polit­ics, Tajikistan is geo­pol­it­ic­ally sig­ni­fic­ant. The state has co-oper­ated both with Rus­sia, with respect to counter-extrem­ist and drug-traf­fick­ing meas­ures; and the United States, in provid­ing non-mil­it­ary assist­ance for their oper­a­tions in Afgh­anistan. Moreover, their trade in resources with China has perked both polit­ic­al and eco­nom­ic interest in Tajikistan. Islam­ic extrem­ism — espe­cially as a res­ult of spillover from the Afghan war, has become an increas­ing secur­ity threat in Tajikistan. Counter-meas­ures, such as cur­tail­ments of cul­tur­al expres­sion, have often been repress­ive, and poten­tially counter-pro­duct­ive. Tajikistan is the poorest coun­try in the Cent­ral Asi­an region. How­ever, it has secured an exem­plary track-record in alle­vi­at­ing poverty, hav­ing halved rates of indi­gence since inde­pendece. Almost half of its GDP is made up of remit­tances sent home from over a mil­lion Tajiks work­ing is Rus­sia and Kaza­kh­stan, mak­ing Tajikistan the most remit­tance-depend­ent coun­try in the world. Hence, the eco­nom­ic uncer­tainty of Rus­sia poses a great threat to the Tajik eco­nomy, lead­ing to socio-polit­ic­al instabil­ity, if the migrant work­ers have to return home. The main eco­nom­ic sec­tors are agri­cul­ture and industry. Two-fifth of the pop­u­la­tion works in agri­cul­ture, which is mainly focused on cot­ton pro­duc­tion, rais­ing live­stock, and cul­tiv­at­ing fruits, veget­ables, grains, and rice. In spite of the sig­ni­fic­ant role of agri­cul­ture, food insec­ur­ity is a fierce chal­lenge for the coun­try, rely­ing highly on food import. With regards to industry, light industry is centered around agri­cul­tur­al pro­duc­tion; hence, tex­tile and food-pro­cessing sec­tors are crit­ic­al to the intern­al eco­nomy. Heavy industry pre­dom­in­antly con­cerns coal min­ing and oil extrac­tion. The energy sec­tor is the prin­cip­al invest­ment sec­tor in the Tajik eco­nomy, and it has garnered increas­ing inter­na­tion­al atten­tion over recent years, espe­cially from China. Chinese invest­ments have pro­moted eco­nom­ic devel­op­ment and trade in the region, largely in order to pro­mote and main­tain socioeco­nom­ic sta­bil­ity. One recent pro­jects to this end is the One Road, One Belt pro­ject, which aims to recon­struct the Silk Road, and build up a trad­ing link run­ning from China to Europe, through Cent­ral Asia.